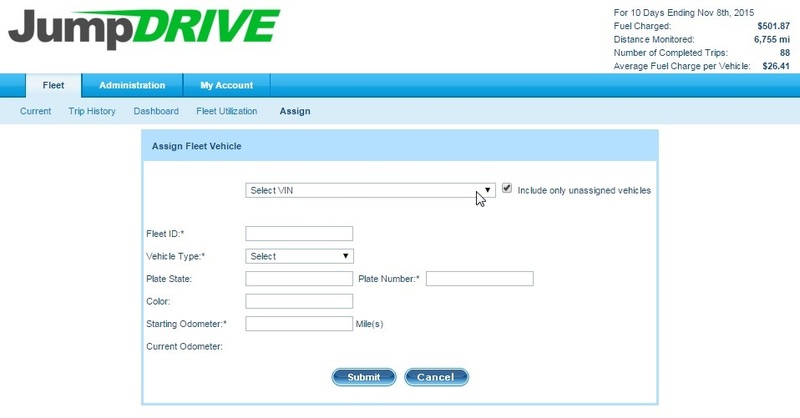 User FAQ – How Do I Assign a Vehicle? Home » User Help and FAQs » User FAQ – How Do I Assign a Vehicle? 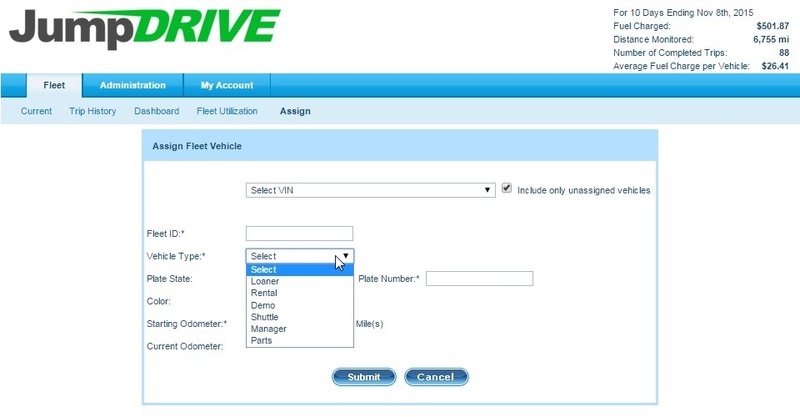 As a user, it is simple to assign a Fleet Vehicle. Step 1 – Click on the Fleet tab, and then the Assign subtab. Step 2 – Select the VIN from the drop down menu. Make sure the check-box is marked if you want to include only unassigned vehicles. Step 3 – Click Submit. If you have any questions, concerns, or suggestions, please contact us at support@jumpdrive.com or call 888 533 4890. Copyright 2015 BrightLot, Inc. All rights reserved.